Sometimes people feel as if devotions such as that to the Sacred Heart went the way of the horse and buggy after Vatican II. Nothing could be further from the truth. If anything, we need these devotions more than ever in our modern world which so often forgets about God and the love of Jesus. 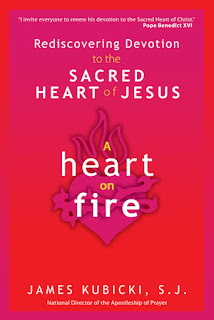 In A Heart on Fire: Rediscovering Devotion to the Sacred Heart of Jesus, Fr. 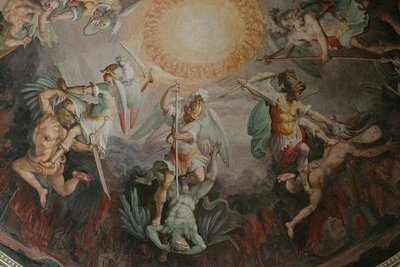 James Kubicki, National Director of the Apostleship of Prayer, explores the history of this devotion and its relevance for the world today. 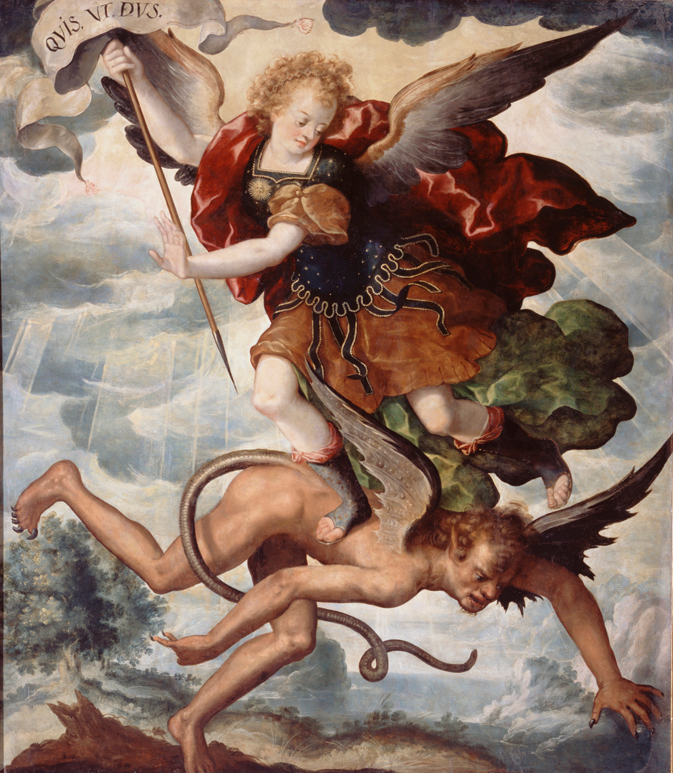 He examines the history of this devotion, beginning with the revelations of God’s love in the Hebrew Scriptures, followed by the life of Jesus himself, its manifestation in the writings and teachings of the early Church, followed by the visions of several saints, such as St. Lutgard, St. Catherine of Siena, St. Mechthild, and St. Gertrude the Great. St. Margaret Mary is the saint most associated with this devotion. Jesus appeared to her four times in 1673 and asked her to have a feast instituted in honor of His Sacred Heart. In 1856, Blessed Pius IX placed the feast on the Church’s liturgical calendar and in 1899, Pope Leo XIII consecrated the world to the Sacred Heart. Fr. Kubicki also explores the connection between devotion to the Sacred Heart and devotion to the Eucharist. “Devotion to the Sacred Heart is simply a relationship with Jesus Christ that grows ever more personal and deep. What is the best way to develop such a relationship? The answer is simple: through the Eucharist.” He also examines the relationship of the Sacred Heart devotion with that of Divine Mercy. One of the most interesting parts of “A Heart on Fire” was an explanation of the parts of the Traditional Morning Offering of the Apostleship of Prayer. This prayer is well-known, but it was fascinating to learn of its history and the meaning behind the various parts. 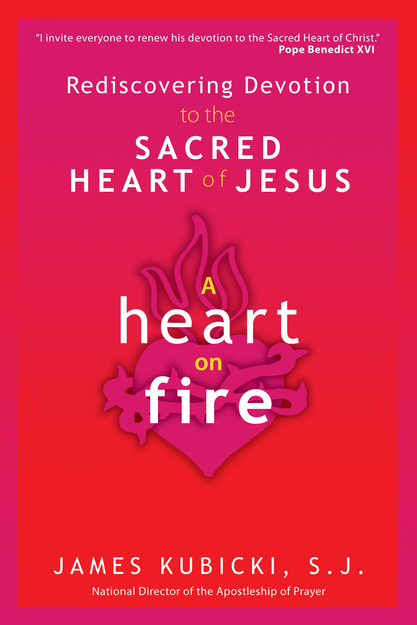 A Heart on Fire offers a solid history of devotion to the Sacred Heart and offers sound reasons why we should develop this devotion in our lives. In addition, Fr. 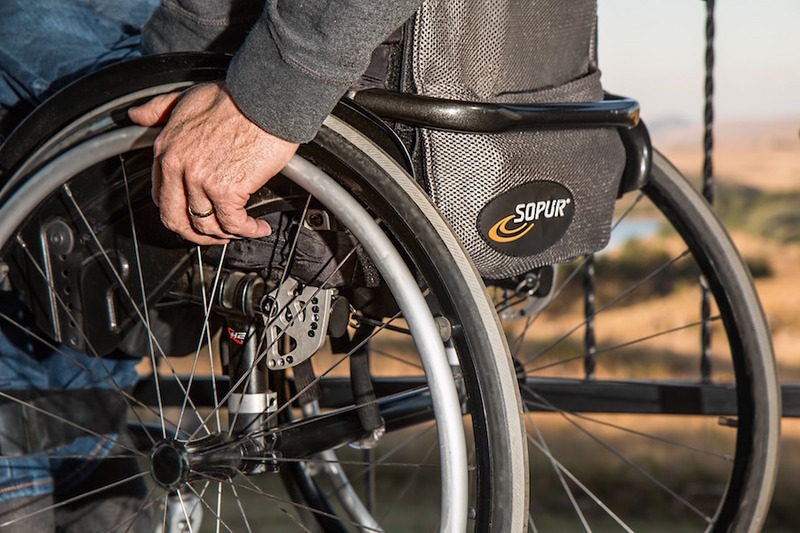 Kubicki offers several “prayer exercises” to help us do just that.